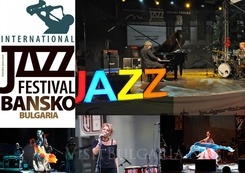 The XVI Bansko International Jazz Festival was opened last night. Bulgarian President Rosen Plevneliev, ministers, deputy ministers and the ambassadors of the U.S. and South Africa to Bulgaria attended the opening ceremony. This year the local authorities expect the festival to attract around 10,000 tourists a day. The event will be held at the central square in the town during the period 08-13 August 2013. More than 25 jazz formations will perform live. Throughout the festival week jazz is also played during the day on various smaller stages in the large resort complexes and restaurants.